You will have the chance to discover one of the best places in Australia with the range of tours that you can book onto at any time throughout the year from sightseeing tours, guided tours, eco adventure tour, hiking trips, charters and cruises. 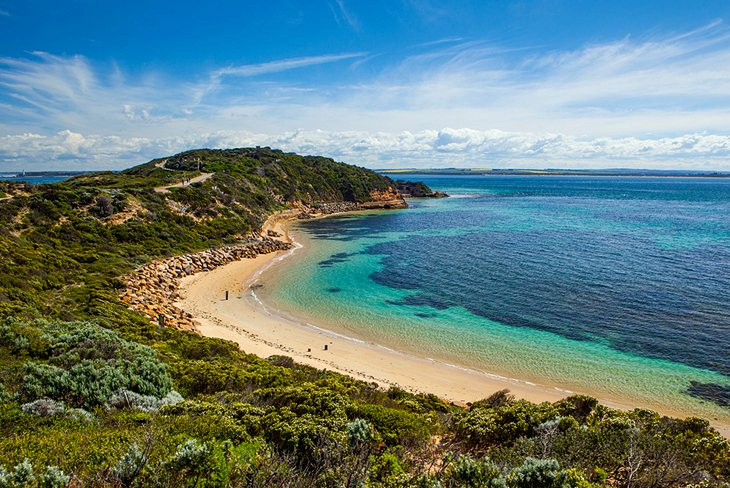 Located just an hour’s drive from Melbourne the Mornington Peninsula is a popular tourist destination for many travellers, where the Mediterranean climate, laid back lifestyle, coastal charm and ancient landscape relaxes and revives the senses. Whether you are after a travelling holiday stopping in at various places along the way, or just wish to base yourself out of one location and see the sights and delights, there are many tours you can book onto to experience all that you wish to within the Mornington Peninsula. With the southern ocean fringing the coastline there are endless opportunities to experience it for yourself. Jump on a fishing charter where deep sea and reef fishing is at its very best or perhaps a look underneath the water level appeals to you where shipwrecks, coral reefs and a variety of sea life awaits you. There are luxury coastal cruises where you can kick back and relax in style for the day, overnight sailing adventures and extended cruises to enjoy. You can have the opportunity to swim with dolphins and seals, learn how to surf, join a sea kayaking tour or hire your own dingy for the day to fish around the shallow waters to see what you can reel in. Holiday tour and accommodation specials are often available. Hike along coastal walks with an informative local guide, tour through historical buildings and museums or join one of the town sightseeing tours that will take you through many of the communities and towns that dot their way through the region. From food and wine tours, golf tours and scenic tours where you will visit stunning parklands, gardens and National Parks, you are sure to find a tour that interests you! There are tours that include the markets, galleries and heritage buildings in the areas, tours that allow you to soak up the natural charm of the region and adventure tours where you can get your blood pumping. From beach horse riding, hot air balloon rides, cycling tours along the coastline, scenic flights and helicopter rides, there really is no end to the possibilities. Tour along the wine trail stopping in at numerous cellar doors and vineyard estates and restaurants along the way, take in the natural springs, well being centres and day spas on a pampering tour for a holiday of complete indulgence or why not take the kids on a camping adventure to remember. Discover the aboriginal culture that surrounds the Mornington Peninsula on a dreamtime and indigenous tour, join a wildlife spotting tour or go bird watching for the day. It doesn’t matter if you are looking to spend time out on ocean, cruising the rivers or lakes or exploring the rich region bounding in attractions and activities, because there are many tours on offer all throughout the year for you to book onto that will spark your interest. So find out more about the range of tours on offer within the Mornington Peninsula for your next trip here!